The Consorcio del Jamón Serrano Español is a voluntary association of Spanish business that has united the most important companies in the Spanish meat sector since 1990. It is composed of the leading brands of Serrano Ham elaboration and export, united with the objective of regularising an exclusive, high-quality Serrano Ham for marketing in international markets. After more than 20 years, the Consorcio is the point of reference and contact for import of Spanish Serrano Ham for the main European, American, and Asian markets. 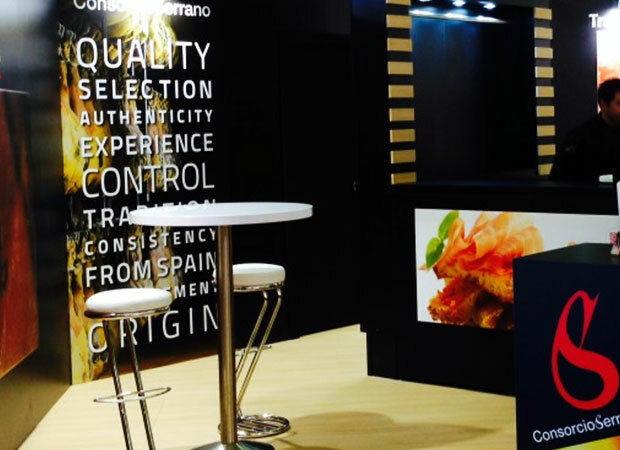 Thanks to this, Consorcio Serrano Ham is internationally recognized as a star Spanish product, as the Consorcio is the only Spanish association that guarantees Serrano Ham backed by our exclusive Seal of Quality and piece by piece control. Today, the meat industry is the fourth largest Spanish sector, after the automobile industry, petroleum/gas, and electric energy. Our sector, composed of about 3,000 small and medium businesses, many of them with long traditions, occupies first place within the entire Spanish food and beverage industry by a large margin, presenting business figures of 22,168 million euros, 21.6% of the entire Spanish food and beverage industry. The promotion and export strategy, the effort to stimulate importation of Serrano Ham by countries across the world, as well as elaboration of a top-quality Spanish Serrano Ham, has allows the Consorcio Jamón Serrano to secure its place as one of the key representative entities of the best Spanish products. Throughout these years, the Consorcio Jamón Serrano works to show the distinction of the Serrano Spanish Ham and get foreign consumers to value it as one of the high-end Spanish products it really is. On October 8th 1990, the Consorcio del Jamón Serrano Español was officially presented in the emblematic Nave de Terneras (former town slaughterhouse in Madrid). Thus, an entity was born rising from the need of the Spanish industry to support and guarantee Serrano Ham as a high quality Spanish product in foreign markets. Currently, it groups together 32 of the most important Spanish companies in the Spanish ham sector and is a significant instrument of Serrano ham export and international promotion. The Consorcio del Jamón Serrano Español began its task of international promotion in the SIAL fair in 1990, which was held in Paris, with this being the first event it was present at. 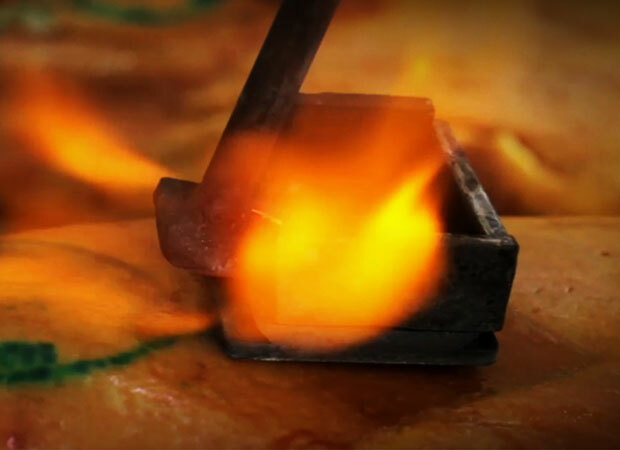 From that time, and with the objective of protecting the image and quality of authentic Spanish Serrano Ham on the international markets, the “Consorcio Serrano” seal of quality was created, which identifies Serrano hams that have passed the quality controls established by the association and have been selected, piece by piece, and are exported and commercialised by the members. At the same time, development began on a long, on going promotion campaign for the Seal of Quality in the different global markets through tastings at points of sale, advertising in the media, both specialised and consumer media, training sessions aimed at professionals in the meat products sector, campaigns in online media and participation at fairs, among other actions. 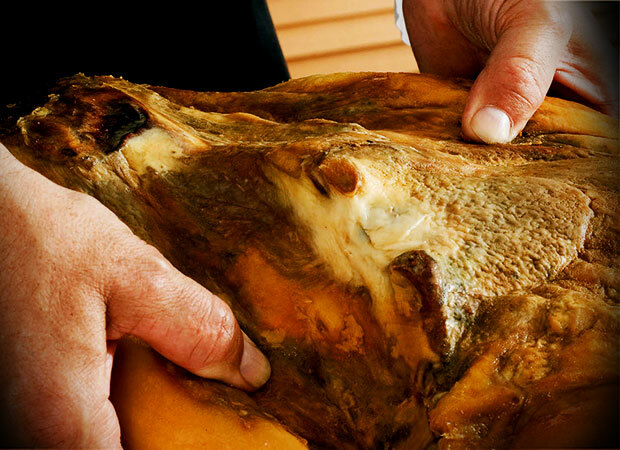 Over the years, the Consorcio has promoted import of Serrano ham, and since then is responsible for both the distinction and characteristics of this ham, getting foreign consumers to value it more and more as one of the most appreciated Spanish products for both gourmet and delicatessen. 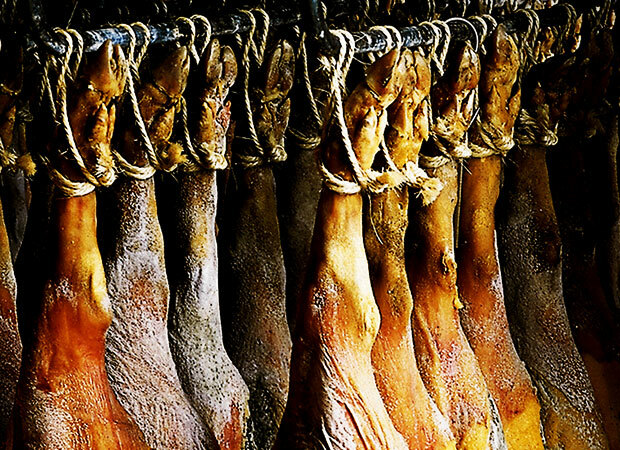 More than 60 destination countries for export of Serrano Ham. More than 654,845 pieces sealed and exported in 2015. Currently, the Consorcio Jamón Serrano Español association gathers the most representative Serrano Ham producers in Spain in order to assist foreign countries in importing high-quality Serrano ham and marketing it throughout the world. The association allows both Spanish ham wholesalers and distributors or retailers to obtain Serrano ham with guaranteed quality certification.